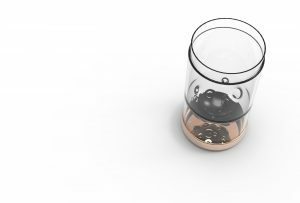 Designed especially for drinking in space, the Vostok Space Beer drinking vessel uses modified technology from fuel tanks to defy the challenges of drinking in zero gravity. Dubbed the ‘Dark Side of the Moon’ by designer Angelina Kwan; the moon and the sensation of floating in space were what inspired the design. The final design embraces the unique surface of the moon, material finishes associated with spacecrafts, and the functionality and experience of drinking beer in space. 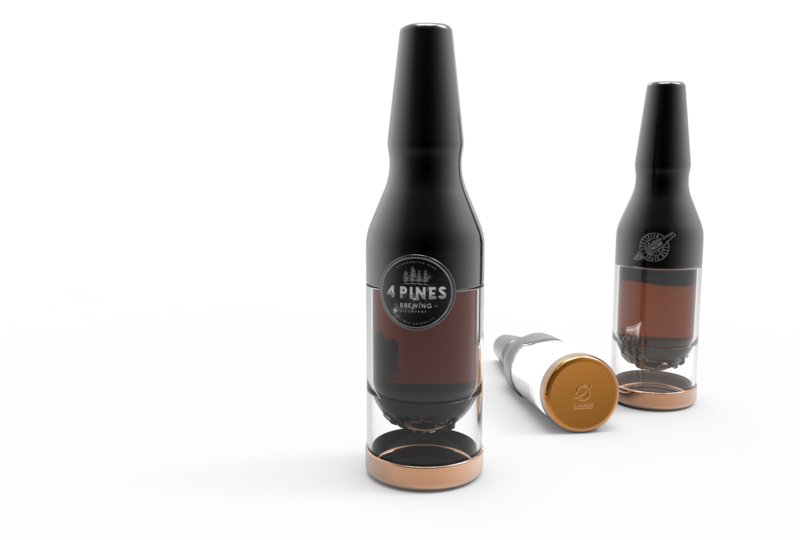 The bottle silhouette was maintained to preserve the familiarity of the beer drinking experience. A removable cup is incorporated into the design, which can be brought back to Earth as a memento of the drinker’s space experience. Below is a sneak peak of our first design concept for Vostok Space Beer! 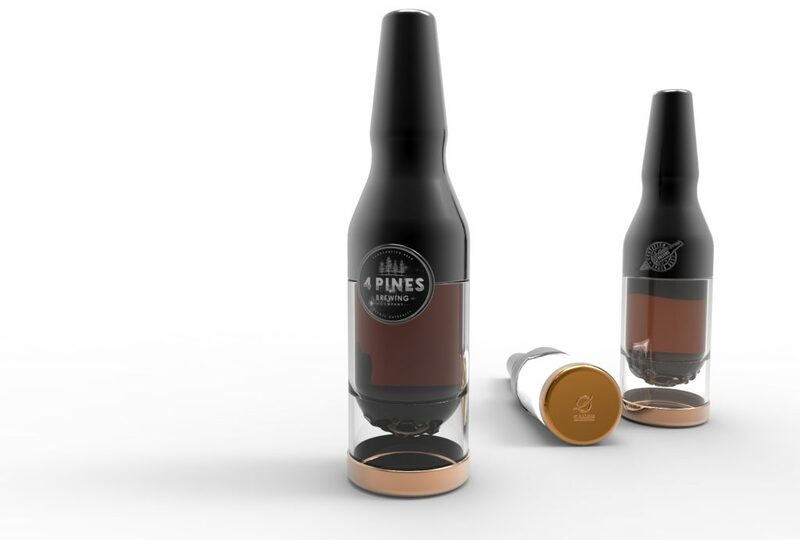 ‘Wicking’ insert to allow beer to flow in zero gravity. Removable cup for use on Earth. Extruded gold anodised aluminium cap. Black anodised aluminium drawn sleeve. Signed, Serial Numbered and Authenticated as one of the World’s First Ever Space Beer Bottles available to humanity. 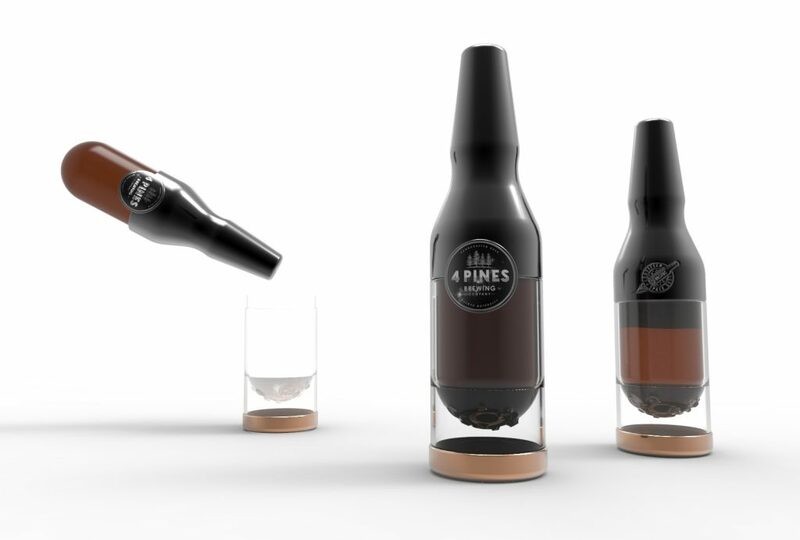 *The current images and footage here of the Space Beer Bottle are prototypes and as such, the end product will slightly differ, based on further ZERO-G flight test results. Space questions? Beer questions? We’d love to hear from you. Sign up to our newsletter to keep updated on the project. You must be 18+ to sign up to the newsletter (21+ in the US). Find out the latest news and updates on the Space Beer project.